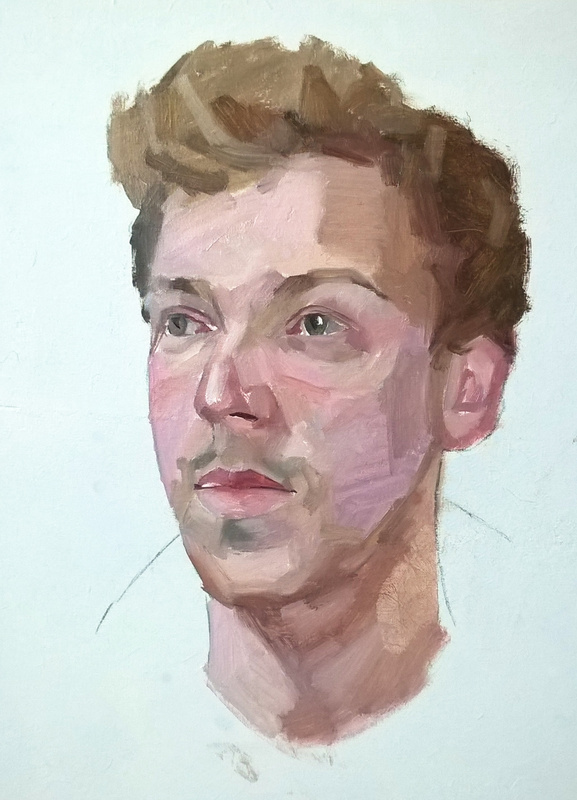 Another portrait painted on same day as portrait below. The girl was one hour and a half. I spent one hour on this one. This entry was posted in Uncategorized and tagged Art, demo, oil portrait, painting, portrait by David Reid. Bookmark the permalink. Always enjoy seeing your portraits. It’s amazing to me how quickly you can get the information down. Thanks! At this speed it doesn’t always work. It’s a bit hit and miss, but like any activity the more you do it, the more you can be confident of some success.